This month we’re featuring the Animal-related category of the non-profit industry. Look to future months for other NTEE non-profit categories. Grantees in the Animal-related industry were most likely to track “adoptions” (animal adoptions) as their most important metric, state "reaching new constituents" as their main mission objective served via their Grant and state "raising awareness" as the main marketing objective served via their Google Grant. With regard to the performance of their Grants AdWords account, they received an average of 35% of their total site visits from their Grants AdWords account and an average of 11,000 conversions over the last year (11/2009 - 11/2010). An average of 4% of Animal-related organizations who responded to the survey report that they currently use an agency, SEO or SEM to manage their Grants AdWords account. 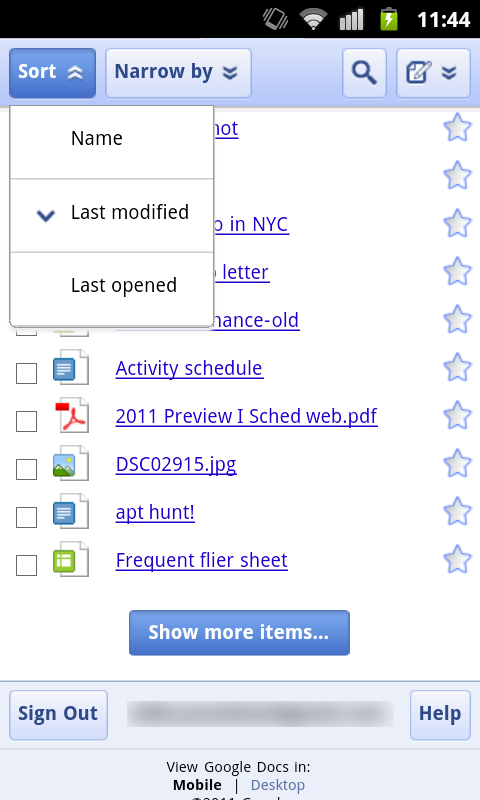 We’ve added more than a dozen new features to Google Apps so far in July. Read on to learn about a few of our favorites: a new look for Gmail and Google Calendar, ways we’ve made Gmail safer and easier to use, a couple new mobile capabilities and more. A couple weeks ago we began rolling out a visual refresh to Gmail and Google Calendar, which is consistent with design changes happening across many other Google products. The idea is to make the interfaces even more focused, elastic and effortless. 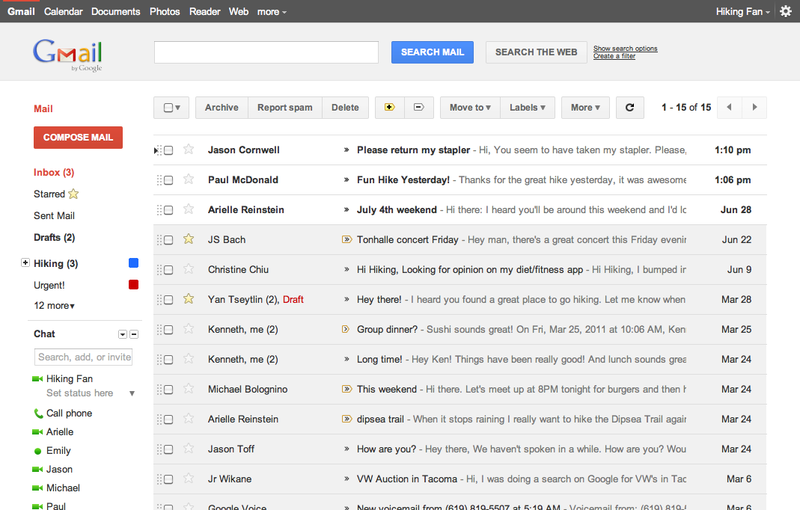 If you’d like to see the new look, you can try it out in Gmail and Google Calendar now. 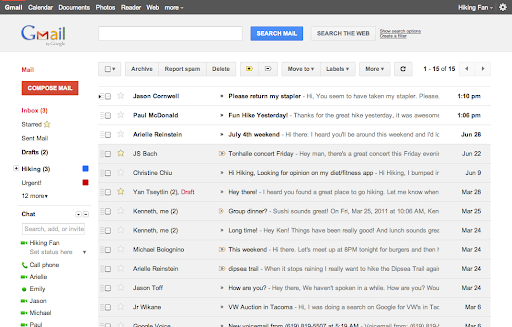 In addition to Gmail’s new look, we added new options to let you choose an inbox layout that best suits your email habits. You can decide between Priority Inbox, important messages first, starred messages first or unread messages first—or stick with a classic inbox style. 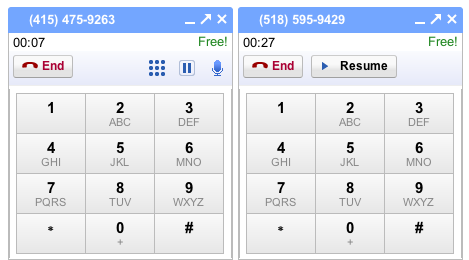 A while back we added the ability to place phone calls to land lines and mobile phones from your Gmail browser window for free or at greatly reduced calling rates. 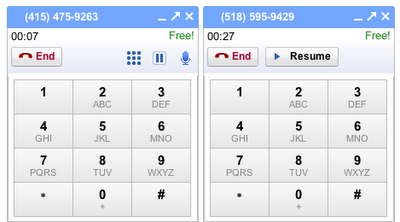 On Wednesday we made this feature better by allowing multiple simultaneous calls. You can place a second call by putting your first call on hold, or put your first call on hold to pick up another incoming phone call. Before last week, when you received a ZIP or RAR attachment you had to download the file and extract its contents to view what someone sent you. 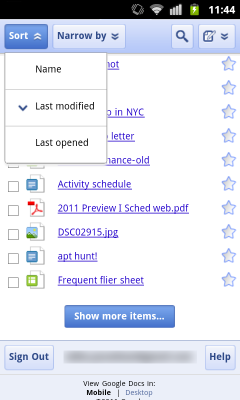 Now you can simply view the contents of ZIP and RAR in your browser without the hassle of downloading and extracting. This is a faster, safer and more affordable way of viewing attachments than opening potentially harmful files with software on your computer. Gmail has also started keeping you safer by displaying more information about the origin of certain messages. 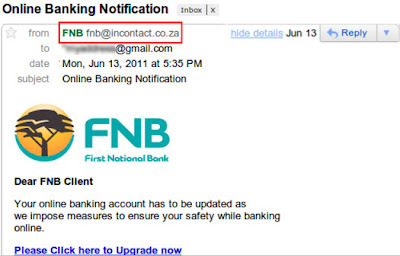 Email coming from senders who aren’t in your contact list will display the sender’s full email address. We’ll also show you when messages come from an email-sending service (like a news site’s article sharing system) and display a warning when it looks like the sender may have spoofed a Gmail address. Many organizations that use Gmail have asked for a way to tell if important sent email has been opened, and since Tuesday, Google Apps for Business and Government administrators can activate read receipts from the control panel. Administrators can control which users can request or return read receipts, and whether receipts are issued automatically or manually by recipients. In Google Docs, this week we added a handy keyboard shortcut cheat sheet to help you work more quickly in spreadsheets. Just hit Ctrl+/ (or Cmd+/ on a Mac) to bring up the keyboard shortcut guide. We also launched support for PPTX conversions, so now you can bring all those PowerPoint files from your desktop into Google Docs, and edit them with your classmates and colleagues from the browser. 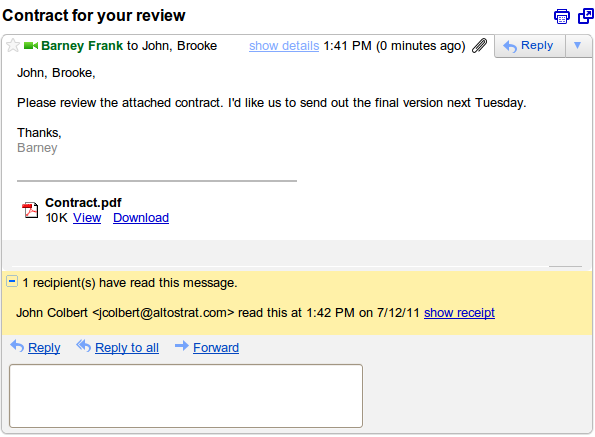 Recently we made it easier to work with videos that you upload Google Docs. Now you can embed Google Docs videos into Google Sites pages, embed them on other webpages and even add text captions to your videos. In April we introduced the Google Docs app for Android devices, making it easier to find and open Google Docs files on your phone or tablet. A couple weeks ago we added the ability to share files right from the Google Docs app, so now you’re covered when you need to give others access to a document, spreadsheet, presentation or any other type of a file when you’re on the move. It’s been another banner few weeks for new customers. A hearty welcome goes out to Aperam, Nexteer, Premier Salons, Quality Distribution and tens of thousands of other businesses that moved to Google Apps since our last update. We also welcome our new education and government customers, including the University of Connecticut and the City of Pittsburgh! to find and support the best, most innovative ideas out there that will help people around the world unlock the power of media and participate more fully in society. 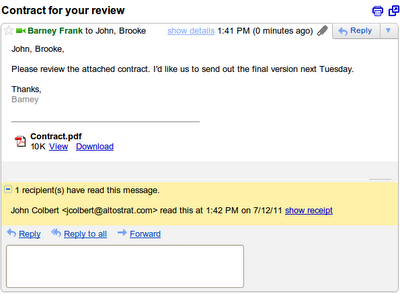 back in March, with information about the Google for Nonprofits program and all of its moving parts. One of those moving parts, and a resource we hope you can take advantage of, is the Google for Nonprofits Marketplace. The Google for Nonprofits Marketplace is where you can connect with Google Certified Partners - Google tool experts that offer their services for free or discounted rates to NGOs. There are Google Certified Partners for products ranging from AdWords and Android to Earth, Sketchup, and Website Optimizer - just to name a few. So, whatever your organization’s needs, it’s likely that there is a Certified Partner available to help. To find the right partner for your organization’s needs, simply visit the Marketplace page, choose the product you’re interested in and your local region from the drop-down menus and then review your choices from the results. If your company is a Google Certified Partner and offers services to NGOs at a free or discounted rate, you can apply to have your company listed in the Google for Nonprofits Marketplace. You may have seen our launch post back in March, with information about the Google for Nonprofits program and all of its moving parts. One of those moving parts, and a resource we hope you can take advantage of, is the Google for Nonprofits Marketplace. This effort isn’t isolated, as many NGOs and stakeholders support community-based approaches to forest monitoring for their efficiency, cultural relevance, and reliability. Community Forest Monitoring will play a role in the United Nations’ Reducing Emissions from Deforestation and Forest Degradation (REDD+) effort which aims to incentivize developing countries to adopt a low-emission path to development. In thinking about best methods for data collection, this working group is looking to tackle a host of data collection issues including usability, security, accountability, cultural relevance, and scalability. As ODK iterates and evolves, the Public Sector Engineering team is learning about the challenges and opportunities in mobile data collection and exploring how we can contribute to this space. ODK already gives users the option to visualize data in Google Earth and Google Fusion Tables, and we are exploring how to make use of some of Google’s other tools (what if photos collected on the ground could be easily posted to Picasa, or videos to YouTube?) It’s our goal to make sure that all meaningful data is effectively organized and made discoverable, accessible and usable. What’s next? As the engineering teams continue to work on improving mobile data collection tools, the working group will convene policymakers at the next workshop to discuss standards and best practices. “The greatest barrier isn’t a technological one, but the challenge of leveraging this data so that communities can help ensure better governance for their forests,” says Niki Mardas, Head of Strategy and Communications for the Global Canopy Programme and theredddesk.org. As with many other public data collection efforts, it will become the job of advocates and analysts to shape meaningful narratives and press for the change the world needs. We’re glad to be a part of this effort and we’re committed to working with our partners to transform data collection from a passive process to an active and empowering practice.